Angela George has been with Harcourts for the past four years and has transitioned from finance to property management and comes with unwavering enthusiasm and dedication. Customer service is a passion of Angela’s, along with problem solving to find the best possible outcome. Angela understands that communication is a key aspect of things running smoothly and works closely with her Property Manager Hannah. Her aim is to get it right first time and keep you informed at every opportunity and if she doesn’t know the answer… she will definitely find out for you. Having a friendly personality Angela constantly receives compliments from customers about her service and being so approachable. 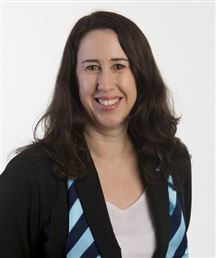 Hannah is based in the Orewa Property Management office and has been in Real Estate for over 9 years. In 2010 Hannah completed her Real Estate Licence to develop her industry knowledge further. With Harcourts´ commitment to on-going training, Hannah is always on top of the latest industry changes that could affect your property. Along with her industry experience, Hannah’s very high standards, attention to detail, and enthusiasm for property management means she will get the ideal tenant for your property, and manage the tenancy to a high level. Communication in property management is paramount and a priority for Hannah, so you can rest assured that she will stay in touch and always be available for any questions or market advice. Having grown up on the Hibiscus Coast, Hannah is an area expert and happy to help with the management of your property.